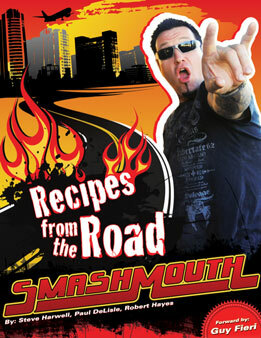 "If anyone knows their favorite dishes from Cabo Wabo Cantina Steve Harwell will. He's been a regular at the Cabo Wabo Birthday bashes and I consider him a party veteran." "I love being part of this cookbook because it's young and fresh, just like me! I may have gotten a little older but my food is just as delicious as I was in my 20's!"